Talking about your mental health issues might seem like a really daunting task, the issues are often deeply personal and we still live in a society where stigma around mental health issues remains. In the last few months, the media has been stressing the importance of getting the conversation started and there has never been a time where the profile has been raised so much. Celebrities like Prince Harry, Lady Gaga, Ruby Wax and Adele have all been in the press talking openly about their own struggles and what has helped them. Research has shown that getting help early significantly improves our outcomes and enables us to recover quicker and have longer term benefits. Fear of being judged, shame and the actual symptoms of many mental health issues (such as low energy, anxiety, feeling insular and low mood) can all hold us back from opening up the conversation. Not knowing where to start is also a big factor is stifling the conversation. And for some, not knowing what is actually wrong with them holds them back – you may know you feel dreadful and be struggling with all kinds of intrusive thoughts and feelings, but not know what is causing them. This is perfectly normal – when you go to the Doctor you don’t always know what is wrong, you just know that something isn’t right. Take the pressure off yourself to know exactly what is wrong and instead focus on one step at a time. This really does depend on the individual: family, friends or professionals. Here we will look at the pros and cons for each and some ways to tips to start the conversation. Family: For some of us talking to a family member is the natural choice, families can be loving, supportive units who know us the best and can be our first port of call. For others, they may not have a family to turn to, they may feel they won’t be understood or worry that the family member will feel blamed. Our family members may also ‘refer to default’ and step back into the role we were used to as children – this is a reaction to feeling unsure of what they can do to help, but knowing that they are worried about you. That is perfectly normal and understandable, but may not be the most useful for you to start with. Friends: A friend may be the favoured choice of others, they are often a bit more detached than a family member, know us in a different way and can be a source of closer, more trusting relationships. We normally find it easier to be honest with a friend than with a family member. However, fear of others finding out, fear of somehow changing the friendship or not being understood can hold you back. It may be that you don’t have the type of serious relationships you think you need to talk about personal issues – but you might surprise yourself by trying. A professional – Your GP, a counsellor, psychologist or Psychiatrist can be a fantastic place to start the conversation. They will give you a professional view on what you are going through and because they don’t know you, won’t be able to bring in debris from your childhood or need to rush out the door for the school run. You may want to think about writing a letter to take to your appointment which describes what you are going through, it can really help break the ice and allow you to get the most out of your time. Wait until there is enough time to talk about what is going on for you. Being interrupted by phone calls or being in a rush can really make it hard to return to the subject. A coffee, walk or car journey can be perfect times. Tip – face to face too scary? What about phone, text or email? You don’t have to talk face to face, a phone call can be hugely liberating and that bit of distance can make it easier to say things you might feel too cautious to do so face to face. Email can also be great, you can write and rewrite what you are feeling. Text can work for some, but be warned – you don’t know what the other person is doing at the time and they might be too busy to reply, leaving you feeling abandoned. Chances are the person you talk to will just want to help, but sometimes being bombarded with ‘things to try’ such as looking after yourself more, being less stressed, or just eating more really won’t help. Remember it’s your conversation and there is nothing wrong with saying ‘I am finding this conversation really hard’. It’s ok to say you aren’t looking for them to fix you, you just want them to listen to you. You may need to guide the conversation more than you think, but this is the first step to taking responsibility for your own care. You may find it helpful to complete and print an online screening test and then share it - it can really guide the conversation. It can be a great way of getting things started, when you aren’t quite sure how to talk about the symptoms you are experiencing. We have a range of tests available online you can use. This may sound obvious right? But we all have our own ability to deal with difficult subjects, some people are naturally great listeners, others may have a tendency to bring it back to themselves. Chances are you need someone who is going to REALLY be able to listen to you so think carefully about who to start the conversation with. You can always put the feelers out and test the water – next time they ask ‘How are you’, instead of just replying with ‘Great!’ you could try ‘Hmm, not brilliant to be honest’ and see where it goes. So you’ve been brave enough to try to have a conversation but it hasn’t gone well. Maybe someone walked in half way through, or the phone rang. Perhaps the person you were speaking to didn’t react the way you wanted them to. Remember that the person you are talking to is exactly that – just a person. None of us are completely infallible and we all get things wrong sometimes. Try not to let it get to you and remember why you wanted to talk about this in the first place. Talking about mental health issues isn’t always easy, but the truth is we all have issues to some degree or another. The fact that we don’t talk about them doesn’t mean we shouldn’t. Mental health issues don’t always disappear on their own, they need professional help and support. Starting the conversation about mental health is the first, and often most difficult, step to getting life back on track. If you are struggling with a mental health issue and would like to talk to someone about what might help, please call 0203 326 9160 and speak to one of our triage team today. 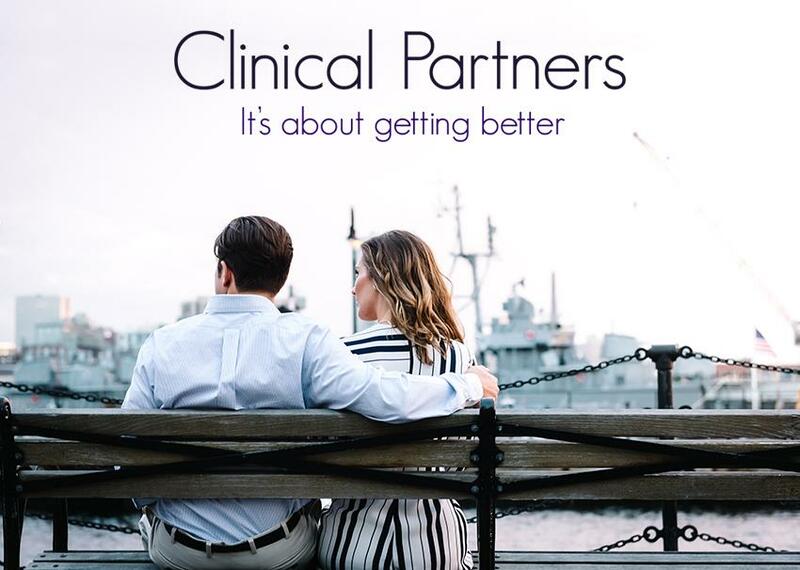 Clinical Partners is the UK’s largest private mental health partnership, offering private psychiatry, psychology and psychotherapy to children, families, adults and organisations.